Ernest D. Farino is a visual effects designer and supervisor based in Los Angeles, California. He has designed and created visual effects and main titles for films such as Creepshow, Hell Comes to Frogtown, Cast a Deadly Spell, Raising Cain, Screamers, TAG: The Assassination Game and and Snow White in the Black Forest. 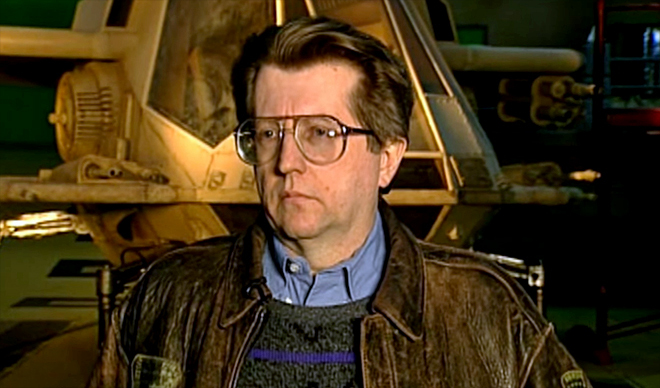 For James Cameron’s The Terminator, Farino designed the animation, lightning effects, and main title sequence, and later designed the main titles for Cameron’s The Abyss and Terminator 2: Judgment Day. His experience in the field of stop-motion animation includes animating the Pillsbury Doughboy as well as work for films such as Caveman, The Howling, Dreamscape, and John Carpenter’s The Thing. Like many in the visual effects field, Farino was sharply influenced by stop motion animation master Ray Harryhausen and from 1971-1974 co-published a "fanzine" about Harryhausen called FXRH. Farino was nominated for an Emmy as visual effects supervisor on the Tom Hanks/HBO miniseries From the Earth to the Moon, and later won consecutive Emmys for visual effects for the Sci Fi Channel’s miniseries Dune and Children of Dune. As part of his publishing enterprise Archive Editions, Farino designed and produced a 3-volume series of elaborate coffee table books with British author Mike Hankin on the work of Ray Harryhausen, entitled Ray Harryhausen: Master of the Majicks.